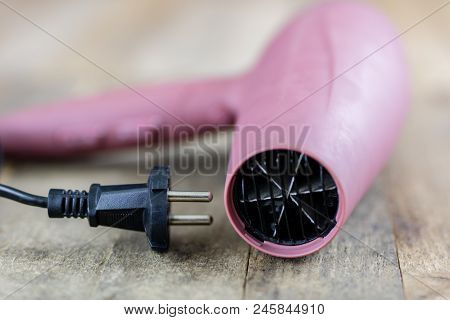 hair › Buy Poster of Hair Dryer In A Hair Salon On A Wooden Table. Hairdressing Accessories For Hair Care. Poster of Hair Dryer In A Hair Salon On A Wooden Table. Hairdressing Accessories For Hair Care.